Sign up using the form below or call (858) 565-8645 to make an appointment. Welcome to the chiropractic practice of Dr. Charles Salanger and Dr. Carol Spiegelman. For 25 years, our Kearny Mesa chiropractors have been helping patients in Linda Vista, Poway, and Scripps find real relief from headaches and migraines, back pain, neck pain and more. Our skill and expertise spans the entire wellness spectrum, from pain relief to increased health and well being. We believe that the principles of general chiropractic care can help patients of all ages relieve pain and recover from injuries. We provide care for a variety of conditions and injuries, including workers compensation, personal injuries, and car accident injuries. Additionally, our chiropractic care can be used to alleviate pregnancy pain for expectant mothers, reduce the incidence of acute ear infections and headache in children, and help patients recover a full range of motion following an auto accident or personal injury. If you suffer from chronic back pain or neck pain, you do not need to be dependent on prescription painkillers for the rest of your life. Seeing a chiropractor at our center is a safe, natural, and non-invasive way to manage your pain! Dr. Salanger and Dr. Spiegelman offer a full range of comprehensive chiropractic care services to patients, including back pain, neck pain, workers compensation and headache relief. 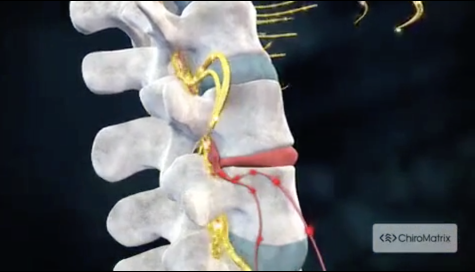 The advanced spinal correction methods utilized by our chiropractors are based on patient-proven techniques which are safe, comfortable, and effective. In addition to chiropractic adjustments, our complementary treatments include cold laser therapy, corrective exercises, spinal and posture screenings, physiotherapy, lifestyle advice and nutritional counseling. Did you know, for example, that proper nutrition is essential to recovering from an injury? Just as chiropractic adjustments restore alignment to the body, the right mix of nutrients and supplements restores balance to organs in the body, promoting internal healing. Our massage therapy and physical therapy can also help you regain a full range of movement and motion. Following a car accident injury or personal injury, you may feel soreness, stiffness, and tenderness in the muscles and joints. In response to this pain, your body may alter its movement patterns to compensate for the injured body part, creating further alignment difficulties. As a complement to chiropractic adjustments, our occupational therapist uses corrective exercises and other physiotherapy techniques to strengthen the body and restore a full range of flexibility, coordination, movement, and motion. A strong, properly aligned body also reduces the risk of future injury. Our chiropractic treatments reflect our belief in whole body wellness. Today, medical care often "covers up" pain with prescription painkillers or attempts to correct problems through invasive surgery. Unlike medical care, chiropractic care believes that the body has a natural ability to heal itself. Our job as a chiropractor is to promote internal healing by restoring proper alignment to the musculoskeletal system. Dr. Salanger, Dr. Spiegelman and our entire wellness team have a genuine concern for your well-being and health. For 25 years, we have proudly served the community in the Linda Vista, Poway, and Scripps areas, helping hundreds of San Diego patients just like yourself manage neck pain, back pain, headaches and migraines, recover from a car accident injury, and begin their journey back to wellness. We are also experienced with workers' compensation injuries. Make an appointment to meet with our chiropractors and get started healing today! Call us at (858) 565-8645 today. "My back went out suddenly - for no reason. Went to 2 Dr.'s, had an X-ray - they found nothing wrong and had no recommendations. THEN a friend told me about Dr. Salanger - in 15 minutes the pain was gone and has not returned 2 weeks later. He gave me a couple exercises to do to strengthen the area. That's it - simple as that when you know what you're doing! THANK YOU Dr. Salanger!"